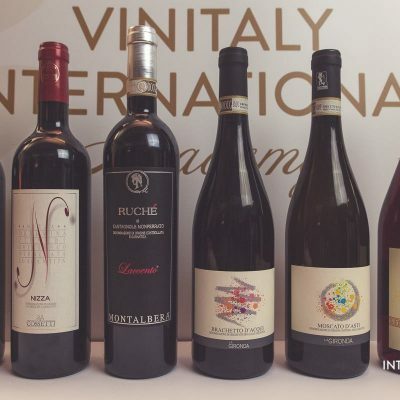 In the heart of Monferrato, the taste of Piedmont and the generosity of NIZZA DOCG, at the centre of the most famous and prestigious production area for Barbera. Welcome to our farmhouse, among our vineyards. While our family has always tended its own vineyards, our main activity used to be the production of winemaking machinery. Then, in 2000, we changed direction and returned to our origins. 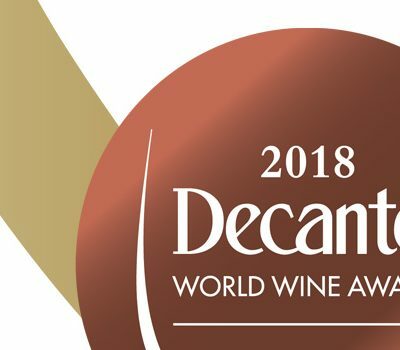 Having always represented our profession, wine became our heart, a contagious passion, but also commitment and dedication, involving myself, Susanna, my husband Alberto and our whole family. We are all fuelled by the pride that belongs to these hills which, as my father Agostino used to say, reveal all our history. We recovered the wise old existing vineyards on the hill known as Il Bricco in Nizza, and in Fraz. Chiesavecchia in the municipality of Calamandrana, and planted new ones, prioritising vines which are discerning in their production of grapes. We are proud of our work and know that if we tend our vineyards with care, the rewards we reap will keep on growing. The acknowledgement of those men and woman who, with their hard work, have moulded the contours of these hills, and the awareness that they are only on temporary loan before we pass them on to our children, have led us to believe in sustainable viticulture, with respect for the environment we live in. As far back as 2004, when talking about sustainable agriculture had still to become “fashionable”, we obtained environmental certification ISO14001: no chemical herbicides, no synthetic products, reduced consumption of environmental resources, manual management of every activity in the vineyard (from pruning to harvesting), minimal intervention in the vineyard and cellar, use of light bottles and ecological corks made of sugar cane on wines to be drunk while young. In the same way that we sought maximum efficiency from our winemaking machinery, we now seek maximum expression from our wines. Our wine has to feature quality, clarity and professionalism, accompanied by pleasure, emotion and the joy of sharing. We want you to find a little bit of us in the glass: our character and our history. Nizza is Barbera, the love of our life! 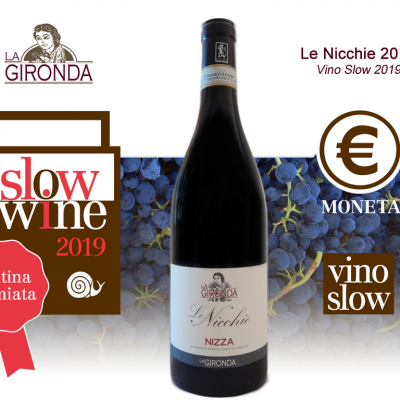 For us and our fellow winemakers, Nizza is the result of a long and shared commitment which has led, since 2014, to the recognition of Nizza DOCG, a wonderful wine which can be made in a clearly outlined area of land blessed with the most exclusive quality. Nizza is also a “core zone” of the Langhe-Roero and Monferrato vineyard landscape, declared World Heritage by UNESCO in 2015, and possibly represents the part that is less well-known (for now! ), but definitely unspoilt and authentic. Communicating this authentic and sincere land is important to us. Wine has to be the ambassador of our terroir, of its wealth and warmth. That same warmth that we share when we welcome you, in order to tell you the story of our work, from the vineyard to the bottle, sharing our experience and doing our best to transmit all our passion. 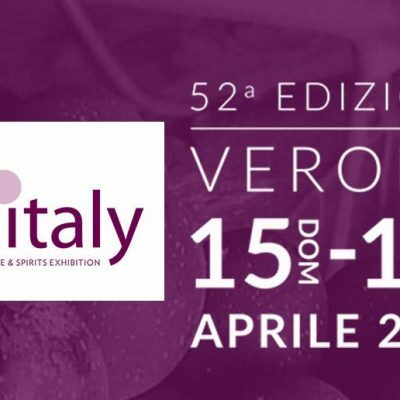 Our Wines Piemonte DOC Sauvignon, Barbera d’Asti DOCG, Nizza DOCG, Monferrato DOC Rosso, Moscato DOCG, Brachetto DOCG, Brut Metodo Classico. The cellar a virtual tour, until we meet in person. To make the most of the potential of our grapes, we have a fully equipped wine-making cellar . Our wine always ages in temperature and humidity-controlled rooms. It is always possible to end your visit to our vineyards and cellars with pleasant tastings in the tasting room or in the terraced garden, where you can enjoy a beautiful view of Nizza. This is a land made magnificent by the work of its people: the synergy between man and the environment is what has made Monferrato, together with Langhe and Roero, UNESCO World Heritage. We do our very best to honour all this. We mainly grow Barbera, which we use to make Barbera d’Asti and NIZZA DOCG, which is the finest evolution of Barbera. Alongside other typical Monferrato wines, like Brachetto d’Acqui and Moscato d’Asti, we also like to experiment. We grow some Nebbiolo and, in the cooler parts of our vineyards, Sauvignon and Chardonnay. Come and visit us and taste the products of our territory. We are proud winegrowers, but we know how much this terroir has to offer in addition to the vine and its fruits. These are the lands of the cardoon – the “cardo gobbo” -, of square or characteristically pinched (del plin) agnolotti, Fassona beef and fattened ox, “torta verde” and “belecauda” (like farinata, a sort of flat bread made with chickpeas). These are the hills of the truffle and of unforgettable paths, of historical towns and arch-lined streets, of little village and spa towns, like Agliano and Acqui. There are also places of culture, of historical pageants, castles, poets and writers. These are the hills where Davide Lajolo and, a short way away, Cesare Pavese were born and this is where Umberto Eco spent his childhood. Nizza and the area around it are definitely worth the journey! La Gironda is always delighted to welcome visitors and to show them all the phases involved in the production of wine; we will accompany you through the whole process, from the vineyard to tasting. You can walk with us through the vineyards and then discover the processes of our work in the cellar. Then we’ll taste the wines together in the tasting room, taking our glasses out into the garden in summer to enjoy the view of Nizza, to fill the memory not only with the wines, but with the nature that generated them. Choose the type of tasting you prefer. Fill out the online form and leave-us your contact details so that we can get in touch with you to confirm the details of your visit. N.B: specify in addition to their addresses the indicative number of participants, the indicative date and if there are special requests for the visit / tasting. In this way you can be contacted to receive the booking confirmation. Thank you. Qual'è il risultato di 2+4-5 ? Contacts request information and book your visit to the winery! Qual'è il risultato di 4+3-2 ? Follow us on our social channels to receive updates on products, events and news about our estate.